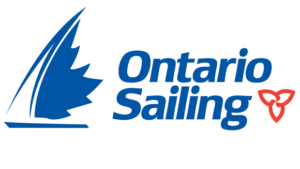 The Board of Directors and Members of the Ithaca Yacht Club extend a warm welcome to members of the Lake Ontario Club Cruisers Association. The Ithaca Yacht Club, located on the western shore of Cayuga Lake, is offering full use of our clubhouse facilities, which includes our dining room, pub, and deck. Eight transient slips with water and electricity are available at the fixed wooden piers to the North of Glenwood Point. These slips can accommodate boats up to 60′ in length with ample depth for sailboats. We offer free docking the first and second night. Additional nights are at a rate of $2 per boat foot. If you have any questions about our reciprocity policy or need assistance, please contact our Harbor Master, Jason Kahabka, at (607) 592-7349 or jek15@cornell.edu. We look forward to your visit to IYC and wish you a safe and enjoyable boating season. Written by: Ithaca Yacht Club on November 30, 2015. Last revised by: Krystal Smith, our reviewer, on June 29, 2018.